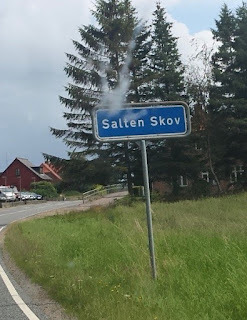 I recently crossed a sign in the center of Jutland, Denmark saying 'Salten Skov'. I was immediately reminded of my work in 2008. That year I wrote an ICARUS paper about scattering properties of Martian dust. The term 'Salten Skov' in the planetary research field stands for a Martian Analogue material. This material is used for modelling Martian soil. 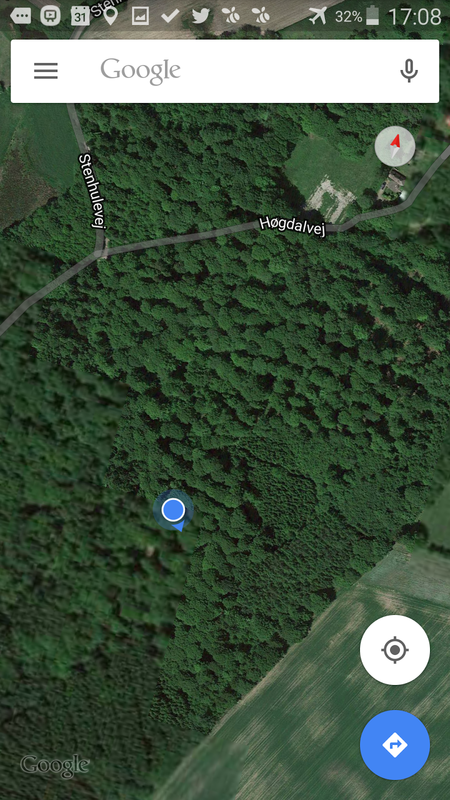 In geography terms, Salten Skov means 'The woods near Salten'. 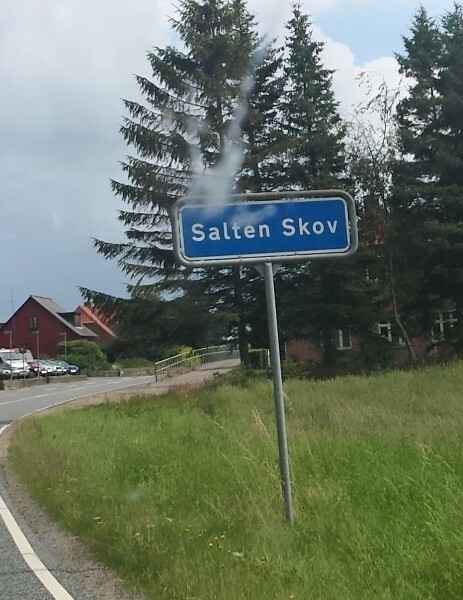 Indeed, there is a place called Salten, close to where we found the sign Salten Skov. 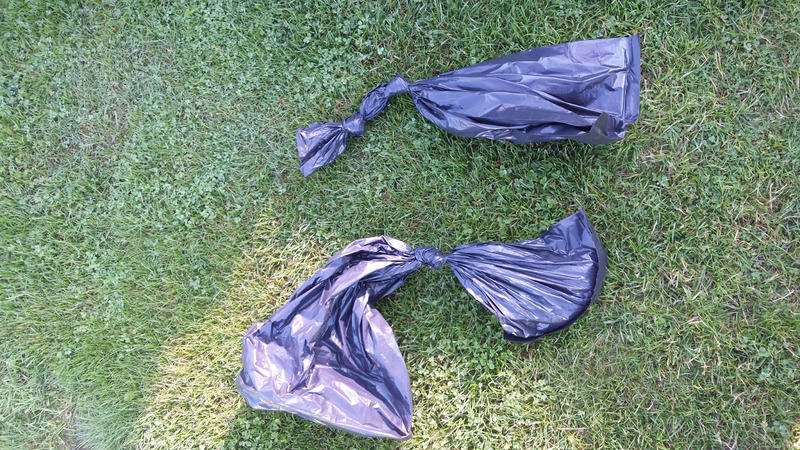 On August 8, 2015 we went on an expedition to retrieve some of the soil. Checking the area out on Google Maps, we found a piece of land just south of Salten Skov that looked very Martian. We then decided to go for two sample locations. 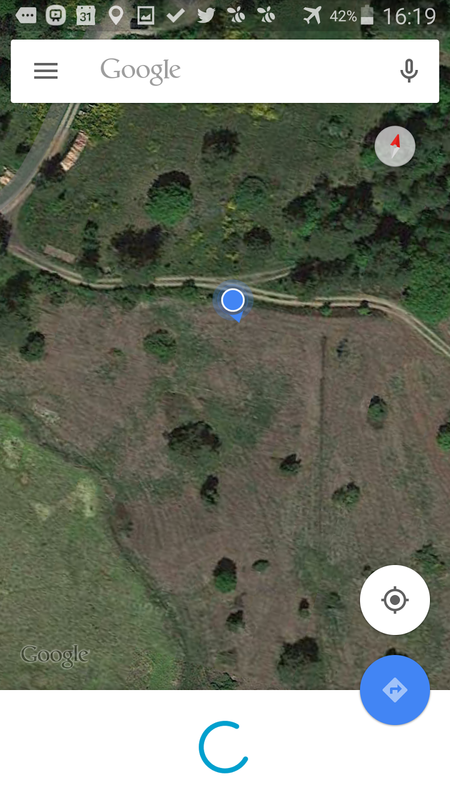 We first went to the red field we found on Google Maps. To reach this field, we were lucky to drive my 4WD Toyota RAV4 as we nearly got stuck on the sandy road. Once we reached the place, we did not find a reddish field. Instead we found a green field for a herd of cows. Deluded by the unsuccessful soil retrieval, we went back to the car when one of my fellow explorers found a rabbit hole. Around the rabbit hole, the soil that used to be inside the hole, had a typical Martian colour! 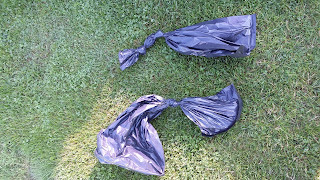 We took some of this soil and concluded that the material we were looking for is in the subsurface. We decided to go north to Salten Skov and be prepared to dig through the top layer. Indeed, after digging some 10-15 cm in Salten Skov, we found the same reddish soil in Salten Skov! 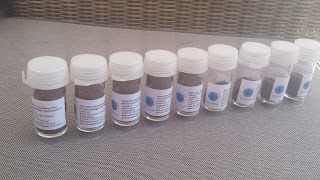 I am now the owner of about 9 containers of Martian Analogue soil material from the Salten Skov region. Both Utrecht University and the DLR Institute for Planetary Research in Berlin have showed interest in the material. If you want a sample as well, contact me!